Corporate law entails business and business-related issues. Litigation involves writing, reviewing documents and argument. Choose wisely when considering your practice area. This decision will determine the future of your legal career. When attorneys choose a practice area, they often do not give a lot of thought to their futures. Some attorneys choose corporate because they like working on business-related matters. Other attorneys choose litigation because they enjoy writing and arguing. However, choosing between these two practice areas is an important decision because the practice area you choose can have a major impact on your future. This article discusses each of these practice areas from the standpoint of your future employability. How much thought did you give to your future? Let us know in the comments! When the economy is strong, corporate is among the best practice areas out there. Corporate attorneys with experience doing deals can live in any part of the country and are in demand in all of the largest cities. Unlike litigation, where understanding local rules and state law is important, this is much less the case with corporate law. When the economy was very strong in the early 2000s, for example, it was not uncommon for a corporate attorney practicing at a 3-person law firm in a suburb of New Jersey to get moved across the country to work in a major law firm in Silicon Valley. These attorneys, who might have been making $50,000 in New Jersey, were suddenly being wooed by huge law firms all over the country despite having graduated from lower-tier law schools. During this period, it was not uncommon for graduates of schools like Pace Law School who had corporate experience to get positions with the most prestigious New York law firms. The demand for corporate attorneys was so great at this time that many attorneys all over the country were trying to switch practice areas. Because corporate is so good when the economy is strong, it can be a ticket to working in a large law firm even if you do not have the most prestigious credentials when you get out of school. In fact, if you like business, it can be among the best choices out there because it can provide you the opportunity to move to a more prestigious law firm as your career progresses. There are some aspects of corporate law (certain types of securitization, for example) that are so specialized that you could be among a handful of attorneys in the entire world with this expertise. I run across attorneys from the largest New York firms with very niche experience all of the time. 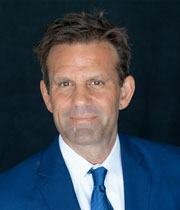 These attorneys generally gain specialized experience working for huge institutional clients. Because of this specific expertise, these attorneys are usually in demand, even when they get more senior. Corporate attorneys are uniquely positioned to refer out work to different departments within their firms (and get credit for this). In contrast, someone who is a litigator may only represent a client once in a great while when that client is sued. Corporate attorneys (generally) have more work and clients to draw from than litigators. Law firms hiring litigators are quite concerned with things like law review, judicial clerkships, order of the coif and the quality of the law school the attorney attended. In contrast, when law firms are hiring corporate attorneys, the attorney’s experience is the most important criteria. While the quality of education does still matter, it is much less important for corporate attorneys than for litigators. Some law firms will not hire a litigator who was not on law review. Do you find that experience is valued more at your law firm? How much experience do you have? The majority of in-house related positions are for corporate attorneys, not litigation attorneys. It is much more difficult to get an in-house job as a litigator than a corporate attorney. After a few years of practice, most attorneys, in my experience, want to go in-house. Thus, if you want to leave this door open, you are much better off being a corporate attorney. Most companies will hire a law firm if they are involved in any form of serious litigation. They rarely handle this work in-house. The work of an in-house attorney in the litigation sphere is often reduced to reviewing legal bills and assisting with small legal matters. In contrast, corporate attorneys are often involved in the day-to-day operations of companies. In contrast to litigation attorneys, the skill of being a corporate attorney is much more specialized. You can find litigation attorneys in every small town in America, but there are far fewer corporate attorneys. This specialization means, all things considered, that a corporate attorney has a more marketable skill than a litigation attorney. Many companies rely on their corporate attorneys to assist them in making decisions related to running their companies. They will seek their advice and counsel regarding acquisitions and sales of business units and other similar matters. Corporate attorneys often enjoy a sense of responsibility and accomplishment from being involved in such matters. In contrast, litigation attorneys often have the unpleasant task of defending companies when the company has done something wrong. Corporate attorneys actually get business experience because they are involved in a variety of strategic decisions. Litigators do not have this opportunity. Due to this, companies will often utilize their corporate attorney as their CEO or in another similar role. Corporate attorneys often go into business for themselves after gaining in-house experience. Interested in these kinds of jobs? Click here to find Corporate jobs. When the economy is in bad shape, corporate attorneys are cast out of law firms like a cancer (unless they are partners). You could have anywhere from 1 to 10 years of experience in a large law firm, and you would still be likely to lose your job in a bad economy. I’ve seen this occur several times in my career. For example, in 2001 to early 2003 and 2008 and 2009, corporate attorneys lost their jobs in droves. During periods of downsizing, companies do not hire outside corporate attorneys to do much of anything. When the work decreases, law firms become incredibly skittish about hiring corporate attorneys. In many cases, entire classes of first-year attorneys at law firms are let go when the economy turns, and there are often few survivors among the associate ranks in even the largest law firms. Do you know any corporate attorneys who have lost their jobs? I have seen corporate attorneys who were first in their classes from the top 10 law schools, working at law firms like Latham & Watkins, have a hard time finding jobs for a couple of years when the economy goes sour. It is devastating for these attorneys in all respects. Many corporate attorneys end up moving home with their parents, filing for bankruptcy and losing their cars and homes. I’ve come across corporate attorneys in my career who gained very niche, specialized experience in a law firm doing a certain type of corporate work. A law changes, or some other circumstance, and this work can disappear, and the attorney is out of a job. I’ve seen this happen to attorneys with a decade or more of experience. It is not pleasant being in a position where you may have been making $250,000 a year for several years, and then suddenly your work disappears overnight. These attorneys are typically let go by law firms fairly quickly. When it gets busy for corporate attorneys and the economy is doing well, it is not uncommon for corporate attorneys to work 16+ hour days (or more), seven days a week, for weeks or months on end. The work that corporate attorneys do is often far more time sensitive than the work that litigation attorneys do. In addition, the work is often very tedious and boring for many attorneys, and this (combined with the extreme hours) can lead to burnout. Many attorneys work so hard and end up so burned out that they leave the practice of law entirely. Corporate tends to be more of a male-dominated practice area. There are generally disproportionately more men in corporate law than women. Many women do not enjoy this imbalance. Litigators generally are able to stay in demand in all economies. Unlike corporate attorneys whose fortunes can rise and fall with the economy, litigators generally end up staying employed through varying economic climates. The reason for this is because litigation cases often take years to fully play out. These long cases continue despite recessions. In addition, when the economy is bad, people are more likely to file lawsuits to try to recover money they believe they are owed, which results in even more litigation work. It is quite common for litigation departments to “bolster up” large law firms during recessions when corporate and other forms of transactional work slow down significantly. Have you done any work in litigation? If so, did you enjoy it? 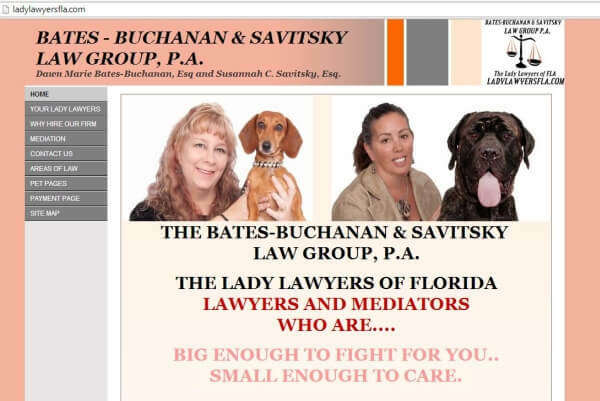 Working for these ladies in Bradenton, Florida, looks a heck of a lot more entertaining than working for a giant corporate law firm in New York City. If you are a litigator, you will generally be able to work in a wide variety of law firms of different sizes. In contrast, most corporate work is handled by large law firms. There are some exceptional jobs for litigators in the government. If you are a litigator, there are opportunities to work in the government everywhere. You could be a judge, prosecutor, US Attorney or other type of government litigator. These professions are generally closed to corporate attorneys. Many attorneys, at some point in their careers, decide that they want to work for themselves. If you are interested in being your own boss, it is generally quite easy to set up your own law firm doing litigation-related work. There are solo practitioners doing litigation-related work all over. As a litigator, you can do all kinds of work for people from varied backgrounds. In contrast, it generally (but not always) is more difficult to establish yourself as a solo practitioner as a corporate attorney. The work a corporate attorney does often involves services that only a large company would require. Large companies prefer to use large law firms and their resources. I have seen many attorneys set up their own practices in my careers. In almost every case where I have seen this, the corporate attorney fails and ends up going back to a law firm. In contrast, most litigators are able to survive (and even prosper) in their own practices. Some litigators have made hundreds of millions of dollars taking giant cases on a contingency fee basis. These earnings are simply impossible as a corporate attorney. Unless you graduate at the very top of your class from a lower-tier law school, your odds of ever getting into a large, prestigious law firm are going to be significantly hindered as a litigator. I am not sure I have ever seen someone with below-average credentials get into a large law firm as a litigator. In contrast, I see this all the time with corporate attorneys. As a corporate attorney, you will generally have the ability to move to a more prestigious law firm depending on the economy. In contrast, things like clerkships, the quality of your law school, participation in law review and the like are more likely to determine your fate early on in your career. If you are a litigator without stellar credentials, it is very difficult to move up to a more prestigious law firm. Do you have a desire to work at a more prestigious law firm? I look at legal resumes all day, every day for my job. It is not at all uncommon for me to see a corporate attorney who has made several moves to increasingly prestigious law firms. In contrast, this is extremely rare (almost unheard of) for litigators. More often than not, the resumes of litigators show a series of increasingly less prestigious positions. Unlike corporate attorneys, who interact with clients on a regular basis and are trusted business advisors, litigation attorneys generally do not have this type of relationship with their clients. Because corporate attorneys are involved in so many aspects of their clients’ businesses, they have the ability to bring in different types of work (tax, IP, litigation, real estate). In contrast, litigators are only called when there is a litigation matter (someone gets sued, or someone needs suing). Litigation attorneys generally have a much more difficult time getting business than corporate attorneys for this reason. Most in-house positions are for corporate attorneys, intellectual property attorneys and other transaction-related disciplines. Very few in-house positions are for litigators. Many litigators desperately want to go in-house after they have been practicing several years but find very few opportunities to do so. Most companies that are sued do not want to handle this work in-house and want to use a law firm with its depth of resources to handle their problems. Most attorneys are litigators. There are litigators everywhere. Because there are so many litigators out there, you will always have a lot of competition for jobs. In my career as a legal recruiter, I have seen law firms go to extraordinary lengths to attract and hire patent and corporate attorneys because they needed them so badly and even offered massive signing bonuses to the recruiters who brought them these types of candidates. I have never seen a law firm so hungry for a litigation attorney that they offered the recruiter such incentives. Even litigators at the top of their classes from Harvard Law School practicing at a major law firm in huge markets have a difficult time moving to another state unless they have passed the bar exam there. One reason for this is due to the fact that litigators need to sign pleadings and go to court. In contrast, most corporate attorneys can move state-to-state with relative ease because they do not have the same requirements. In addition, the work that most litigation attorneys do involves various local rules, state laws, state case law and a long-term understanding of each jurisdiction’s statutes that is gathered through experience. Due to this, even with the bar exam, out-of-state law firms are very wary of hiring a litigator from another state because it will take that litigator years to get up to speed. And why would a law firm want to hire someone from out-of-state anyway? There are tons and tons of litigators EVERYWHERE. The risk of hiring an out-of-state litigator is generally not worth it. 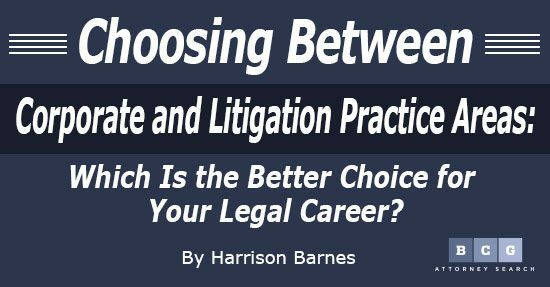 There are both positives and negatives to choosing corporate or litigation as your practice area. I can tell you, though, that one of the riskiest professions in recent years has been being a corporate attorney. When the market for corporate attorneys gets bad, it gets really, really bad. However, litigation is also extremely limiting due to the fact it is so difficult to go in-house, which many attorneys want to do. 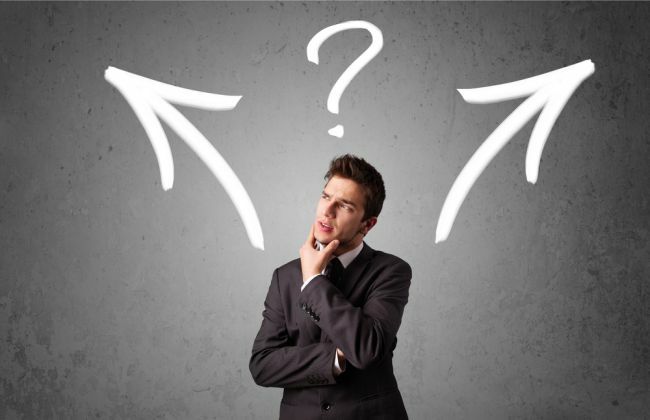 Having spent decades thinking about the relative strengths and weaknesses of both practice areas, I can honestly tell you I do not know which one is a better choice. After reading this, are you planning to work in corporate or in litigation? Find out what it takes to become a successful corporate attorney. All Theory and no practice for corporate Attorneys makes work difficult.